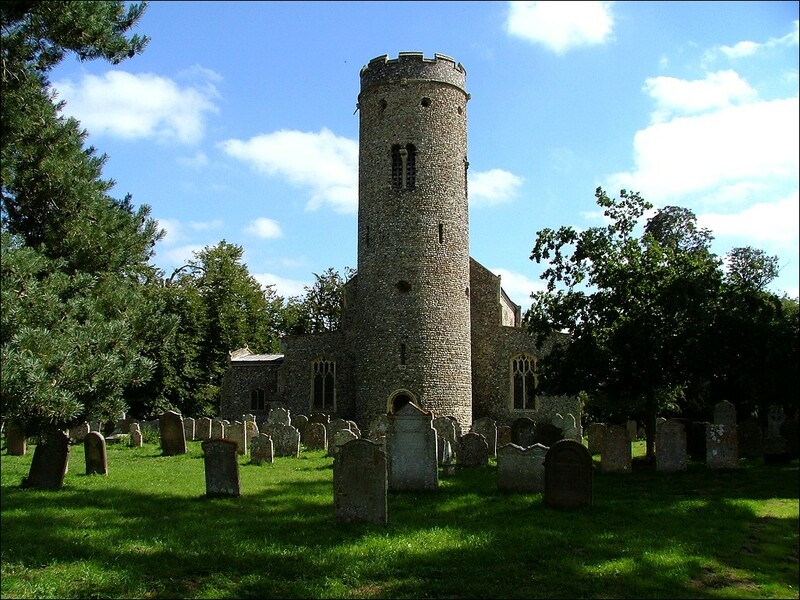 The Forncetts are a group of workaday villages that run in to each other to the north-west of Long Stratton. 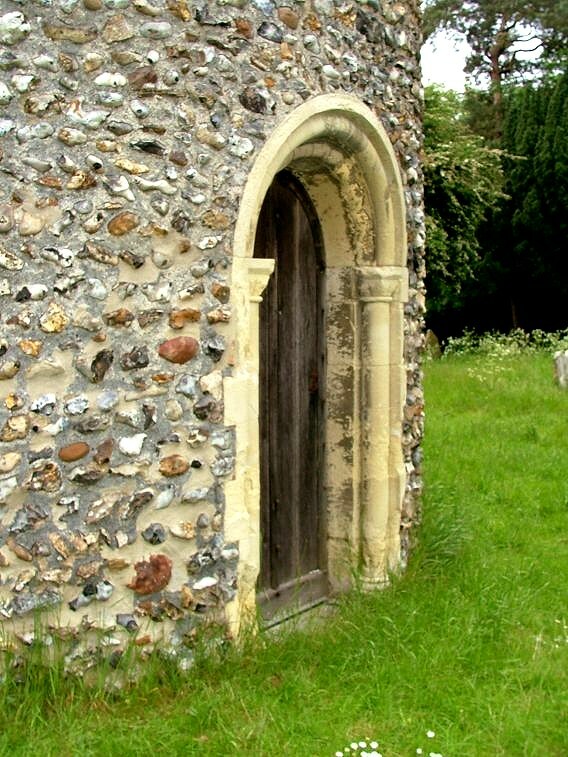 When I first wrote about the church for this site it was kept locked all of the time; but nowadays it is open during the day from April to September, and there is also a keyholder notice, for which the parish is to be congratulated. 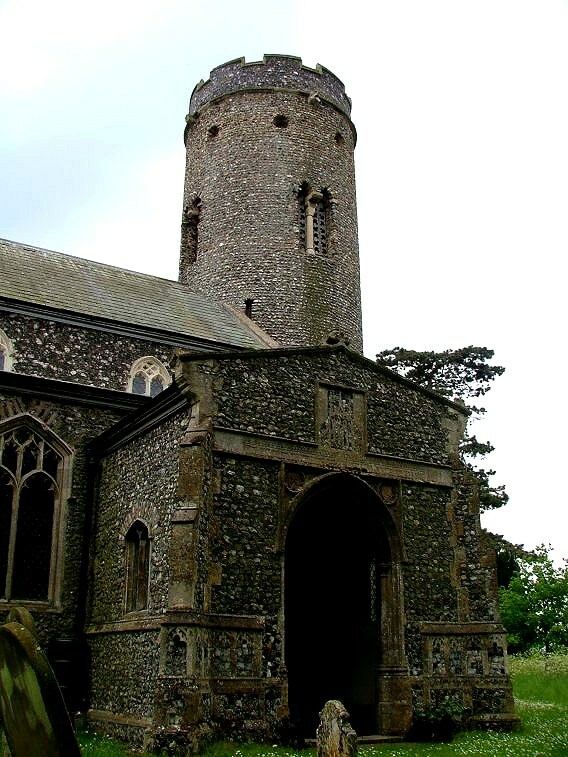 In a sense, Forncett St Peter's previously locked status was not as much of a problem as it might have been elsewhere, for the best thing about St Peter is its exterior, specifically the great Saxon round tower, complete almost to the top, and probably the best Saxon round tower in England. Only the parapet is relatively modern. 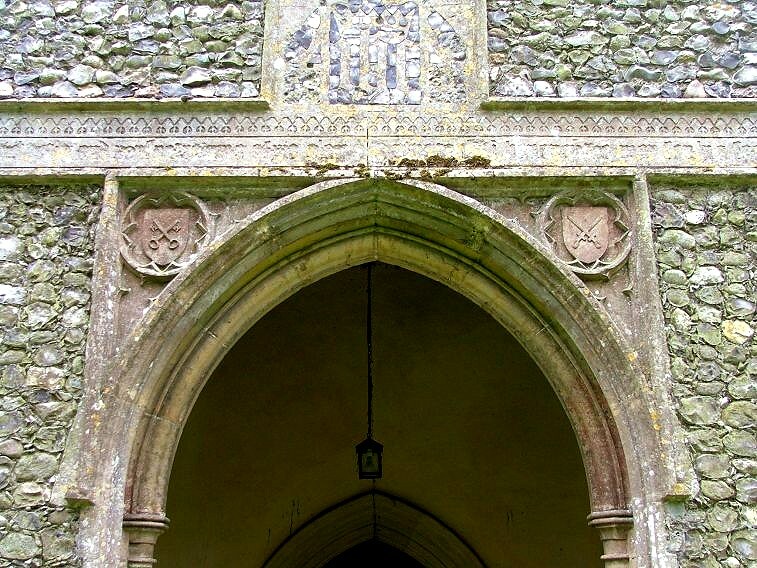 There is a magnificent north porch with the symbols of St Peter and St Paul, perhaps indicating the medieval dedication of the church. 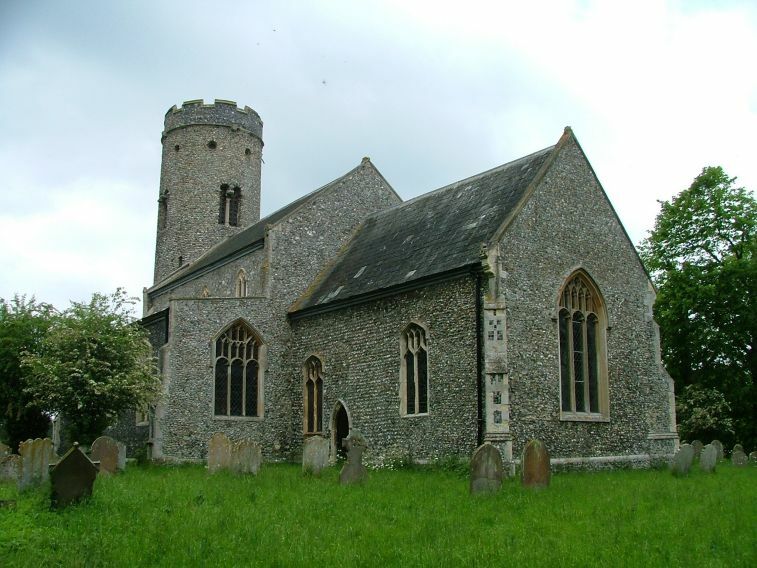 The church has aisles, and after nearby Long Stratton is probably the biggest round towered church in the county. 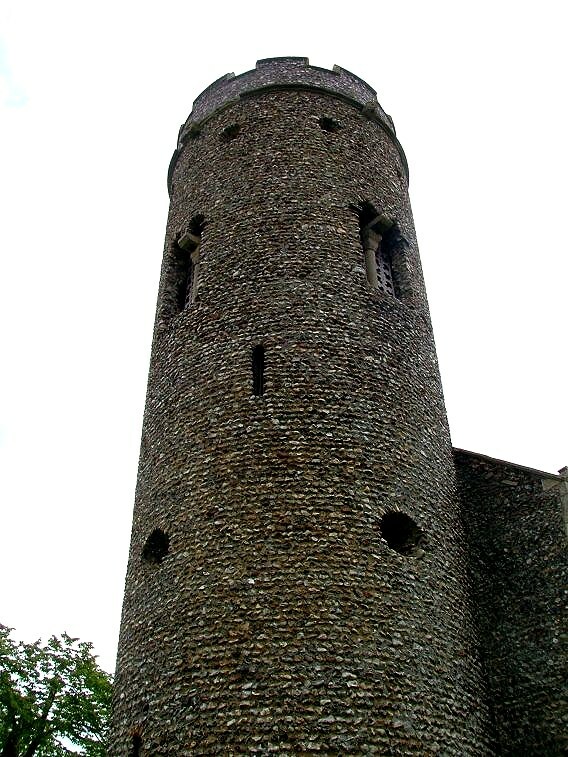 Unusually, there is a west door into the tower. 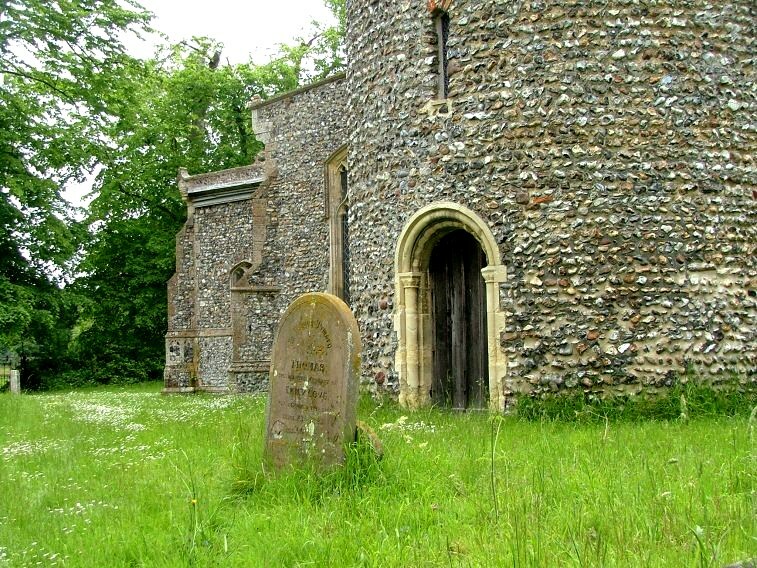 The church is set far back from the road in a huge, delightfully overgrown graveyard. The setting is just about perfect, and inevitably stepping inside will be an anticlimax. 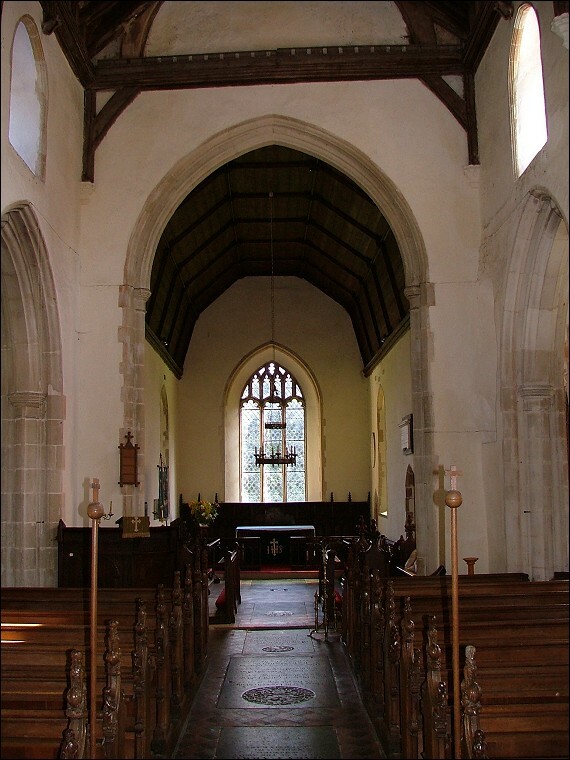 At the time of my visit in 2006 the interior appeared well-kept and well-used, if a little gloomy. 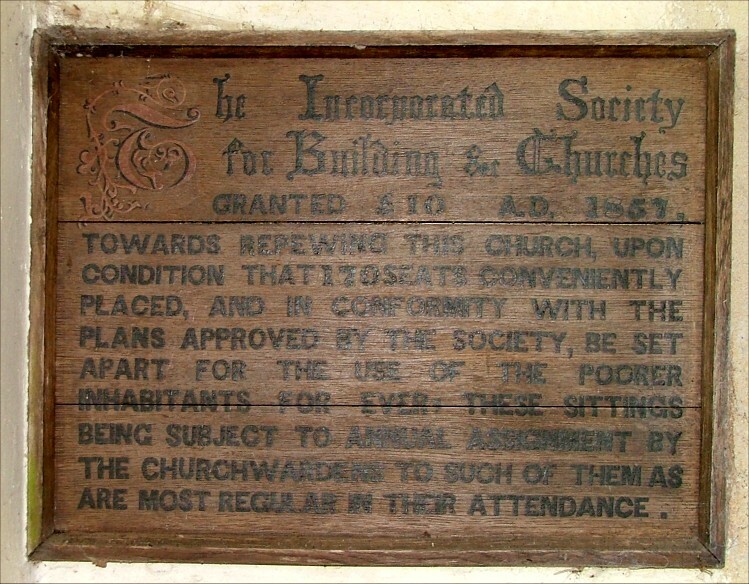 This is a late medieval building which underwent a substantial and relatively early Victorian restoration, and what we see today is an 1850s vision of what the medieval church might have been like. 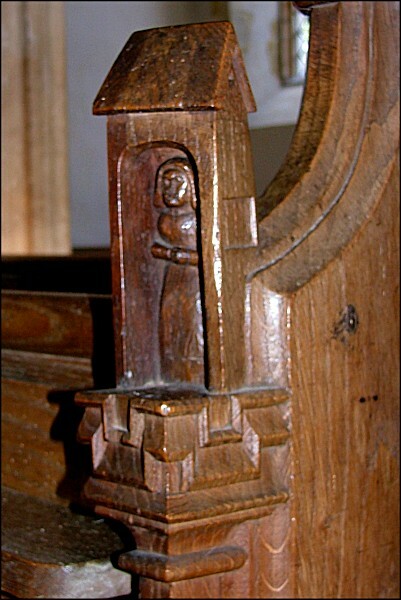 Best of all are the bench ends, one of several Victorian sets in East Anglia that replicate the 15th century style so perfectly that at first it is difficult to tell that they are not old after all. 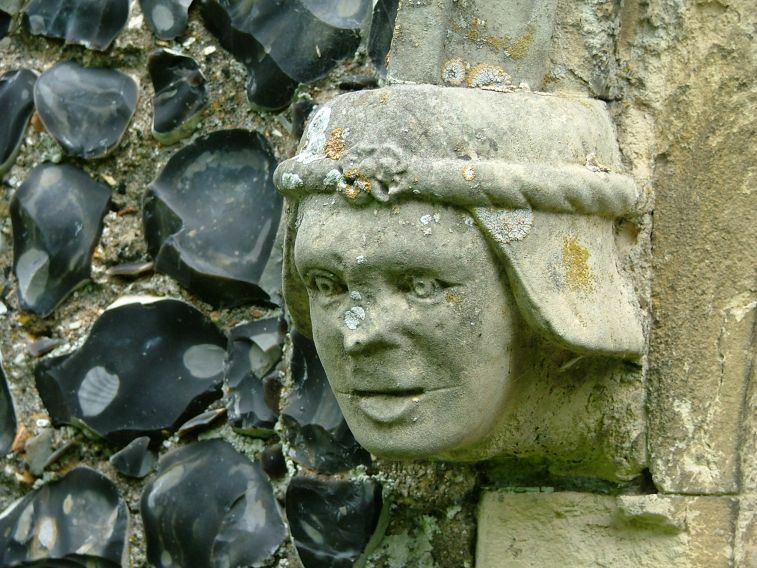 I wondered if they might be the work of Ipswich woodcarver Henry Ringham, who was active at this time and did a lot of work in the Norwich Diocese. Several of them are obviously intended to be parts of series - the Seven Deadly Sins, the Seven Works of Mercy, the Labours of the Months, and so on. 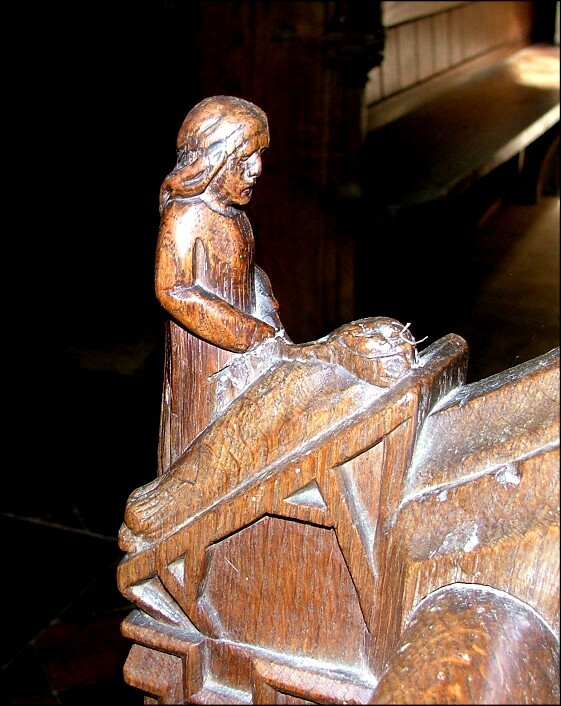 Lust and Avarice are notable members of the first series, and the Works of Mercy bench ends include Sheltering the Homeless and Comforting the Dying. There are also several pairs of Saints, all apparently Disciples. The window by Frederick Oliphant of St Peter and St Paul dates from the 1850s restoration, and there is a later and more sentimental depiction of the Presentation in the Temple which is very good. A curiosity is the naive window depicting Christ with the children. 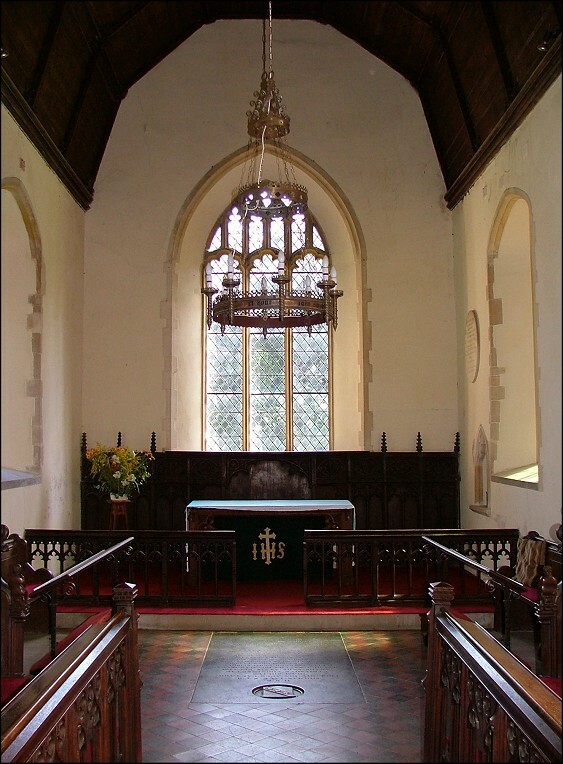 The chancel is plain and simple and rather lovely. There are a couple of medieval survivals. 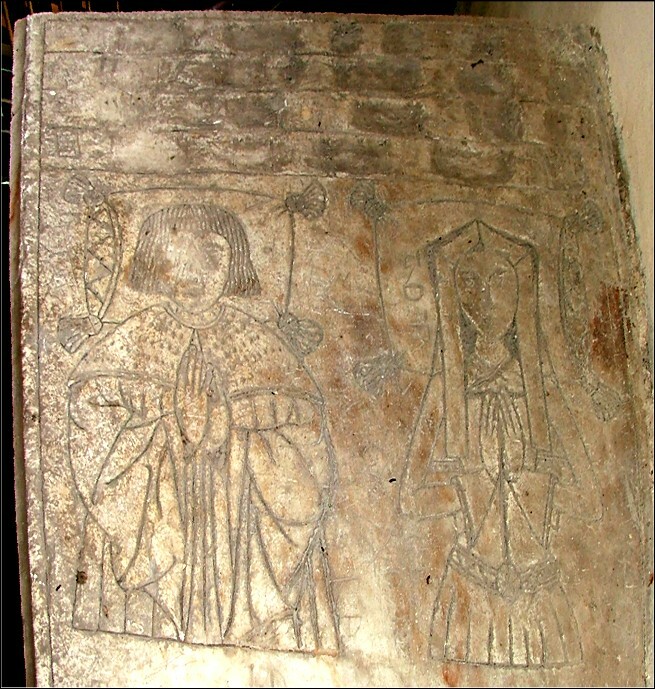 Apart from the font, there are two brass inscriptions to members of the Barter family, and a large late-15th century alabaster tombchest with two incised figures on top, which Pevnser tells us was to Thomas Drake and his wife. 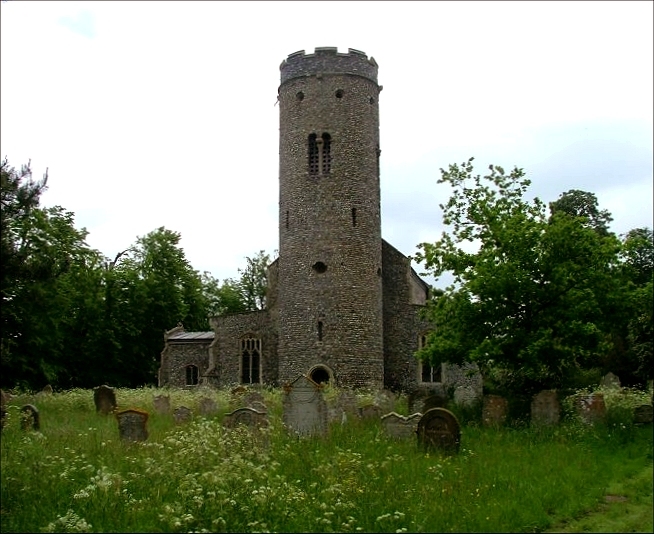 When I was last out this way I found the neighbouring church of Forncett St Mary abandoned, and rapidly going to ruin. 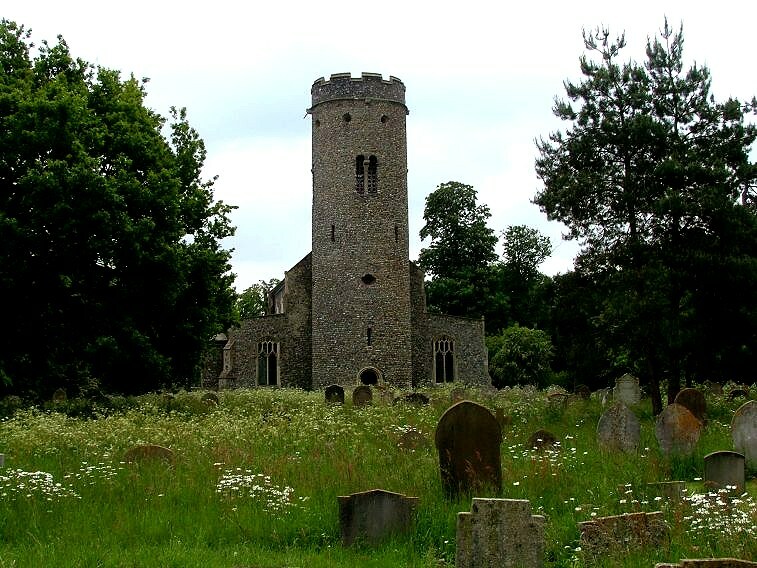 But local people have worked hard to restore it, and ensure its survival, and you can now visit both medieval Forncett churches for the first time in a generation, which of course is splendid news.